With demand for rental property increasing every year, it is becoming more challenging for tenants to find a suitable property in their price range with increasing heavy competition. As a property manager, you owe it to your property owners and your other tenants to find the very best applicants among the pool of candidates. Look for recommendations from previous landlords. Consider how long the applicant lived in their previous apartment, whether they regularly paid their rent on time, and the condition in which they left the property. You can also check in with former and current employers. Credit reports are a good indicator of a tenant’s payment history. They will also reveal any bad debts or bankruptcies. This lets you know if the tenant is likely to keep up with rent payments. If you feel uneasy about picking a potential tenant, don’t. There is a lot of demand for properties, so it is unlikely that you will be left with an empty unit for long. Be patient. Do not feel like you need to rush to find someone. Different properties will require varying deposit amounts, but the usual fee is between 4-6 weeks rent payment. This needs to be placed in a separate bank account. This can give you the most insight into an individual’s personality and behavior, so you can make accurate judgement in terms of how well you two will get along during the tenancy. Trust between both tenants and landlords is key. It may be a good idea to bring your property to a higher standard to avoid attracting less desirable tenants. Be prepared for any questions a tenant will ask. You must be friendly and helpful to prospective tenants as a property manager or landlord. 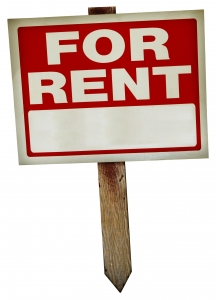 A key skill to develop as a property manager is finding good tenants. They’ll give you far fewer headaches, which means you can spend less time with headaches and more time creating a community that will make you love coming to work.